Are those involved in discussions over cultural property confusing several issues? Italy has long been concerned about the destruction of its archaeological record. Tombaroli have been entering Etruscan burial chambers for centuries. But the organised, systematic and widespread looting of archaeological sites meant that action had to be taken. The surfacing of the Sarpedon krater in New York was a visual remind of archaeological contexts torn apart to supply the market. And it was not just Etruscan tombs. Cemeteries in southern Italy were being ripped apart to supply the demand for Apulian pottery. Turning to Greece, the Early Bronze Age cemeteries of the Cyclades were being pillaged to supply the demand for marble Cycladic figures. On Crete Bronze Age sites were worked over to supply the demands of the market. And in Macedonia, elite tombs served as a supply for high quality items to be sent to market. So the return of the Sarpedon krater, Apulian pots, Macedonian gold wreaths, or bronze kraters to countries like Greece and Italy send out a clear message: museums and collectors should not handle recently-surfaced antiquities. The collector-driven market leads to the destruction of the finite archaeological record. Then there is the issue of material stolen from archaeological museums and stores. Mummy masks and bronze statues that have been raided from archaeological collections should be returned. There are also the long-standing issues that predate the 1970 UNESCO Convention. 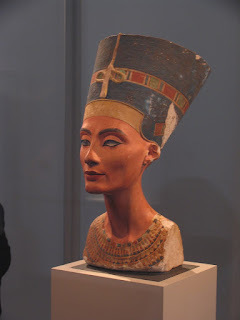 What about Nefertiti? What about the Rosetta stone? What about the Parthenon marbles? What about the Bubon bronze statues? What about the Benin bronzes? Here the issue is less about looting than the appropriate place to display key archaeological objects. Are the architectural sculptures from a fifth-century BCE temple best displayed in London or within line of sight of the building on which they were once placed? Such issues also raise concerns about how to preserve our cosmopolitan cultural property. Should there be restrictions on the movement of archaeological material (including coins) across international boundaries? How can those who handle archaeological material (including coins) ensure that they are not handling the proceeds of recent looting? How can we protect our past for the benefit of future generations? Not really. The issues revolve around the material and intellectual consequences of looting.